SermonAudio.com | Special Report: 2017 | Happy New Year from SermonAudio! 2017 | Happy New Year from SermonAudio! We are entering into our 17th year of operation here at SermonAudio and we want to say a great big THANK YOU to our broadcasters and listeners all around the globe! 2016 was a fascinating year. Right as we were closing 2015, we attempted our first ever Foundations Conference in NYC. Well, we're back at it for 2017. We are planning our second Foundations Conference in NYC on June 22-23, 2017. In commemoration of the 500th anniversary of the Reformation, we wanted to assemble a very special group of preachers that are well-known on SermonAudio but not often seen together in a conference setting. 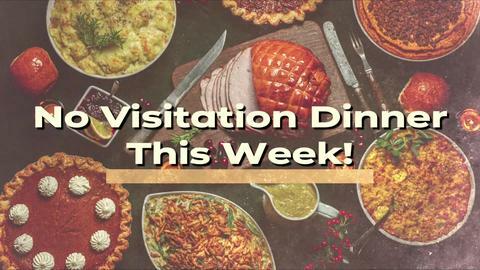 We know it will be a special time of blessing and we hope you will join us! Space is extremely limited so be sure to register soon! Also in 2016, we took a huge step forward in making the sermon player great again! It's not only a new sermon player .. it's a beautiful sermon player! And it adjusts playback speed, embeds responsively, and loads super-fast. It's just great! We also released our first ever native Apple TV App which allows users to enjoy a beautiful standalone, custom-built app for the fourth generation Apple TV devices! It was not only a new app platform for us, but it was also our first app built exclusively on the foundation of our completely-rewritten API infrastructure. We have an extremely comprehensive API system that is constantly being improved that allows third-party developers to develop apps on any desire platform. 2016 was filled with many other things like our Christmas book project, our newly-updated full-color brochure, our effort to encourage personal referrals, our new PowerClips service, and the ability to upload short videos without charge. But there were two REALLY BIG final things that happened in 2016. Unlimited Sermons! We did the unthinkable and introduced truly unlimited sermon uploads for all broadcasters on the site! Unlimited sermons at the same single flat monthly rate. Yes, Merry Christmas to you too! 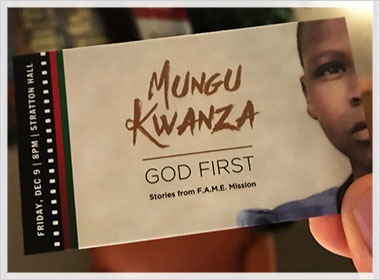 But second, we commenced and completed our first major documentary film project called Mungu Kwanza: God First. This was no small feat. But by God's great mercy, we were able to shoot a documentary that effectively shares the tremendous stories of the lives of orphans and others connected with FAME Mission. 2017 is looking every bit as full and exciting as 2016 was. We have some high hopes to distribute the documentary film into new avenues. Pray that we are able to do this. It will not only help a worthy mission work, but it will carry us into new fields of exposure as well. As mentioned, we have another Foundations Conference scheduled for June 22-23, 2017 back in NYC. We are so grateful to have some of the most respected preachers of our generation joining with us this year. 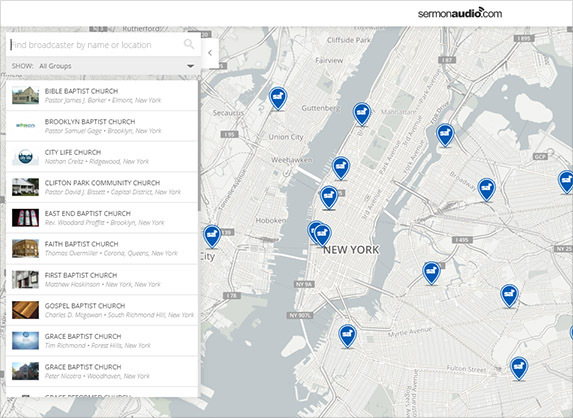 And we have a new Church Finder tool that will be released very soon as well. It's buttery smooth and super-easy to find churches on SermonAudio in any area of the globe. With special attention given to live webcasts and the ability to search instantly, we think you'll love this new tool! The verse that we considered at our staff dinner was from 2 Chronicles 26:5 regarding the young king Uzziah .. "as long as he sought the Lord, God made him to prosper." That is at the heart of our mindset. We realize that the moment we stray from seeking God first (as the documentary title states), we will do so to our own ruin. What a lovely bunch of people~! a belated, Happy New Year to you all ~! Praise to God for His workers in these evil days. may all His servants know and be blest with The joy of The Lord ,all Glory be given to our saviour,redeemer and mighty King. A prosperous new year to all the staff at SA, and all my friends on the comments section (Psalm 1). and to you as well! thanks for the psalter reference! Thank you SA. Your app is a big part of my spiritual life. May God bless this ministry. Colossians 2:16 Let no one therefore judge you in eating, or in drinking, or with respect to a feast day or a new moon or a Sabbath day, 17 which are a shadow of the things to come; but the body is Christ’s. 18 Let no one rob you of your prize by a voluntary humility and worshipping of the angels, dwelling in the things which he has not seen, vainly puffed up by his fleshly mind, 19 and not holding firmly to the Head, from whom all the body, being supplied and knit together through the joints and ligaments, grows with God’s growth. I am sure your projects for improvements do go from year to year, without undue breaks, and may they continue to do so, until the Rapture, when we know your offices will be emptied. If anyone is in need of a blessing this year, get a hold of a copy of the 1650 Scottish Metrical Psalter, and sing unaccompanied psalms at home every day, morning and evening. If your church already does that on Sundays, then you are already blessed in that obedience to God's word. So seek out other ways in which to trust and obey the Master. And blessings will start to flow like a mighty river in the soul. Thanks for all the hard work. I know what it takes to build and maintain such a diversified site, and also appreciate the modes of outreach and dedication of all. Now, which one of those mugs are Alpha and Beta? Ha-ha.
" Also in 2016, we took a huge step forward in making the sermon player great again!" Good job, we greatly appreciate your dedication and exhaustive work in the ministry.